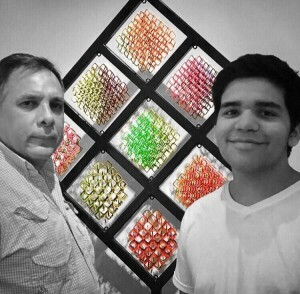 MontanArts is owned by a father and 17 years old son duo, who share the love for art, they have been working together making colorful metal wire kinetic sculptures. They have been combining their skills and strengths creating an unique style that has proven to appeal to various audiences. After a successful start, they decided to begin exhibiting their work through their company MontanArts.